Nextdoor is the social network for neighbors. But how can you use Nextdoor to leverage your business in the community? A few months ago I downloaded the app ‘Nextdoor’. I live in a very busy community, so there was a large amount of activity from my neighbors already. There were posts for pet sitters, someone selling a sofa, and even someone commenting about how much they loved the neighborhood. It was only a few days after we downloaded the app we came across a white Husky lounging in our yard. White Husky.. no tags.. Then it dawned on us. Someone on Nextdoor had posted a few days earlier about their lost white Husky with no tags! We pulled up the app, found the phone number they had posted, and not even a half an hour later the husky was reunited with his family. At its core, Nextdoor is a social network for your neighborhood. Its existence is entirely rooted on the friendliness and amiability of your neighbors. After all, the archetype of American neighborhoods typically conjures images of a friendly wave and borrowing cups of sugar from the family next door. 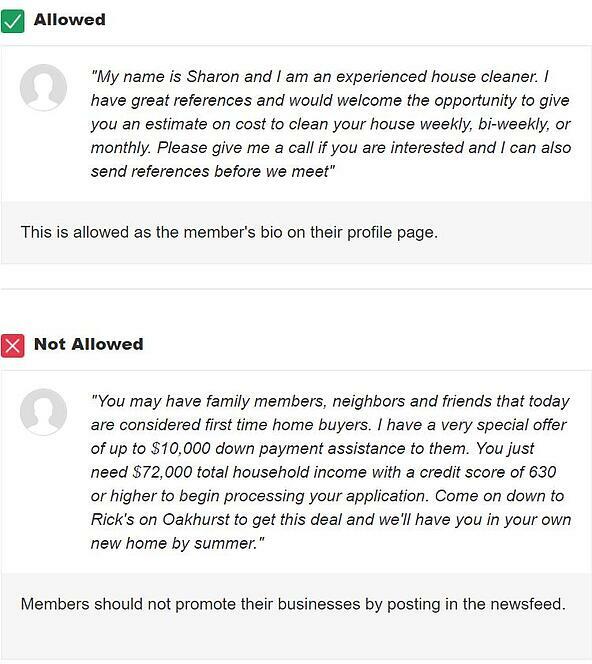 Nextdoor's advertising rules allow you to target hyper-locally, filter by zip code, and customize posts based on a particular neighborhood or address. Recently, they have begun working with a small number of local businesses relevant to their particular Nextdoor community. 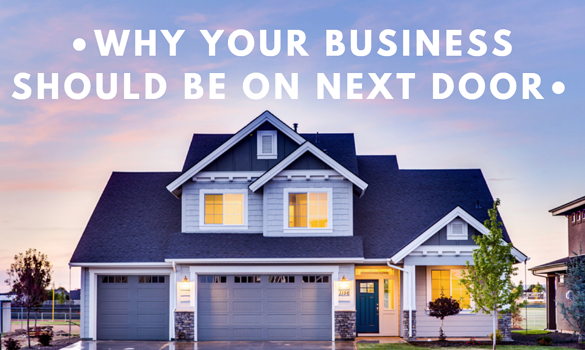 As a business owner, Nextdoor provides a unique opportunity to target homeowners in their particular service area, without inundating them with intrusive marketing strategies of the past, like physical flyers or a door-to-door salesperson. Like all social networks, Nextdoor urges users to follow their Community Guidelines. Namely, they encourage business owners specifically not to inundate their neighbors with unsolicited marketing offers. To list your business, create or claim your business page here. This allows your neighbors to find you when they are searching for recommendations or looking for a particular service. Engage with the community when requests for recommendations arise. Promote or announce events in the Events Calendar. Users can create events and invite neighbors through the app’s calendar feature. Below is an example of Nextdoor's posting guidelines. Do everyone a favor and make sure to not make unsolicited posts about your business on the main feed of the app, and never privately (or direct) message someone about your business. Respond to neighbors recommendations or inquiries, but do so with tact. Make sure you are upfront about your affiliation with the business you are recommending. As with most things, don’t use Nextdoor as a platform to badmouth or undercut your competitors. One, that’s just not nice (or good business practices), and two, it violates Nextdoor’s Conflict of Interest Guidelines. Hiring? Post your job description and contact details in the ‘Classifieds’ section. Nextdoor is an incredibly useful way to reach your local community and should be looked at as an extension of your online and social media presence. Using Nextdoor the right way is an excellent way to build rapport in the community and showcase your business. But if you'd rather leave it to a professional, we'd love to help. Get in touch with Builder Funnel and let us manage your Nextdoor account for you!